Wedding Planning Advice from the Experts! South Coast Publishing approached Kingfisher for our expert advice on selecting a wedding caterer for the big day. 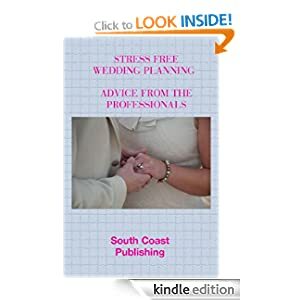 We were very pleased to team up with lots of other wedding experts and you can download the E Book now to ease the stress of planning all aspects of your day. Top Tips for Finding Your Perfect Caterer! Planning a wedding can be a confusing and stressful time. The biggest elements tend to be the dress, the venue and of course …the food! At Kingfisher we speak to clients about their individual needs on a daily basis and we thrive on helping our clients to enjoy a perfect and memorable day. We know how important it is to find the right caterer for your event. Research… The Internet, magazines and wedding shows will give you plenty of information about caterers in your area. These are all useful tools, but nothing beats personal recommendations. Have you recently experienced great catering at an event? Ask around friends, family and on social networking sites. People will be delighted to offer their recommendations, and of course those to avoid! Location… The location of your reception will help to determine the caterer. Often venues have a list of “recommended” caterers, but should you wish to use a caterer independent from your venue, check whether there will be any additional charges. 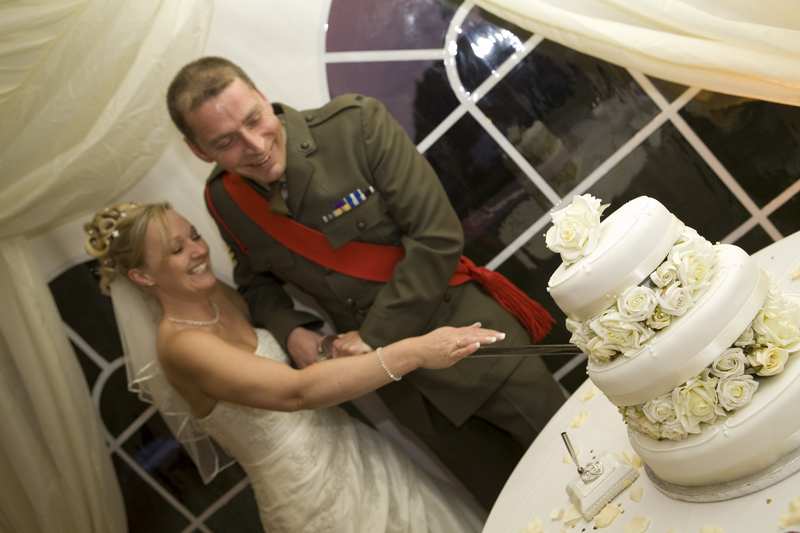 Marquee and tipi weddings will require a specialist caterer who has good experience catering from a tent! It’s quite a fine art, so ensure your caterer can handle it. Experience… Check your caterer has experience providing food for the number of guests you will be entertaining and that they have all the necessary equipment and experience to cater in the environment you are hosting your reception. Theme… Have you got a theme or preferences in mind for your catering? Make sure your caterer will be flexible and think creatively so your end result is perfect for your day. Budget…Know how much you want to spend and ask your caterer to develop a menu for you, based on your budget. Don’t be afraid to negotiate – especially if your wedding is being held outside the peak wedding season. You may be able to negotiate a reduced per head cost, or get the caterer to throw in elements of your meal free of charge e.g. the evening food. Tasting… Check if your caterer offers a tasting experience. A few caterers may offer this free of charge. Others will charge for the tasting, or require your deposit beforehand. Make sure the caterer will be able to provide you with the same standard of food on the day and don’t be afraid to discuss changes to courses or presentation. The idea of a tasting is to make it perfect for the big day! Planning… Check that your caterers will be available for a site visit long before your big day. The last thing you need is your caterer turning up to the wedding and not being able to provide you with the food you were expecting because there is no water supply, enough electricity etc… Also check when your caterers will be on site to lay the tables and finalise preparation for the big day. Some caterers will attend the day before, so you can be directly involved with the set up. Additional costs… Check that your quotation includes adequate staff, equipment, VAT and any other additional costs such as some caterers charge corkage. Other services… Do you require an additional service, such as a cash bar? Check the prices your caterers will be charging are reasonable – and your guests will not be ripped off. Also ensure they are licensed to run a bar. The last thing you need is the police turning up to shut down the bar. Gut feeling… It’s really important to like and trust your caterer. They are providing such a huge part of your day, and you want to be certain that they will ensure your wedding breakfast is perfect. We hope you have found these tips useful and we wish you the best of luck with your wedding planning and of course the big day!